On April 4, 1968, Martin Luther King Jr. was fatally shot as he stood on the balcony of the Lorraine Motel in Memphis. At the time of his murder, King was a polarizing figure--scorned by many white Americans, worshipped by some African Americans and liberal whites, and deemed irrelevant by many black youth. In The Heavens Might Crack, historian Jason Sokol traces the diverse responses, both in America and throughout the world, to King's death. Whether celebrating or mourning, most agreed that the final flicker of hope for a multiracial America had been extinguished. 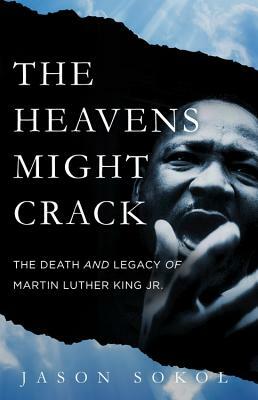 A deeply moving account of a country coming to terms with an act of shocking violence, The Heavens Might Crack is essential reading for anyone seeking to understand America's fraught racial past and present. Jason Sokol is the Arthur K. Whitcomb Associate Professor of History at the University of New Hampshire. The author of two critically acclaimed books on the history of the civil rights movement, Sokol lives in Newburyport, Massachusetts.